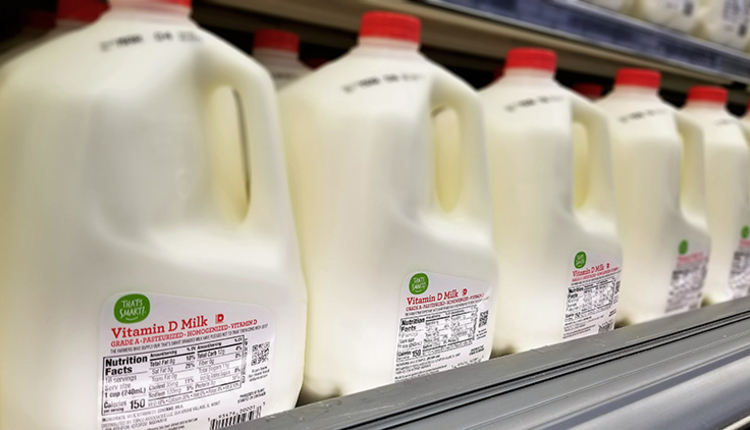 While six grouping strategies have been implemented to some degree on dairy farms, two strategies stand above the others. Proper grouping of cows can improve cow health, boost production, and raise income over feed costs. However, grouping cows is not free. Adequate facilities, time to make grouping decisions and manage multiple groups, labor to move cows, and feeding multiple diets are all needed to make grouping strategies work. 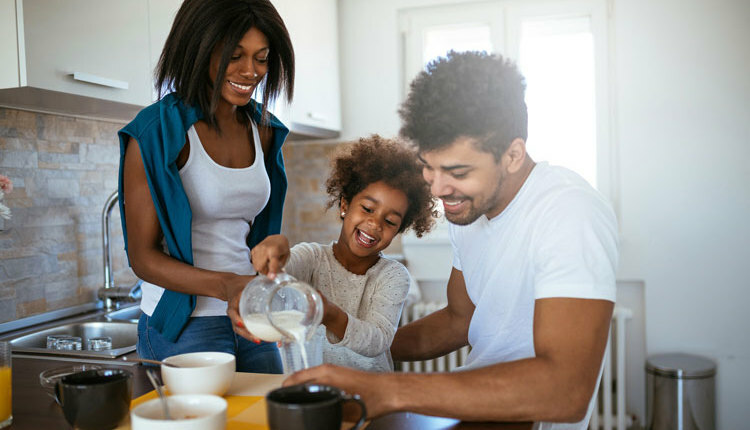 Even with these costs, the potential benefits can pay big dividends. Some grouping benefits can be obtained simply by moving similar animals together, whereas other benefits will require grouping animals and then providing a specific diet to the group. Given the overriding impact facilities and herd size have on grouping abilities, a one-approach strategy does not fit all. Size and condition of stalls, bedding type, bunk space, waterer space, ventilation, heat abatement, feed mixer capacity, and cow flow MUST be considered first. If a pen will not meet the needs of specific animals, any benefits from grouping will likely be lost and may even make matters worse. Hypocalcemia can be controlled with anionic diets, but those diets come with added costs and risks. Diets with excess anions (urine pH values too low) reduce dry matter intake (DMI), which raises the risk of ketosis. This is especially a concern for heifers. Supplemental anions also will raise feed costs, but usually the reduction in hypocalcemia is of much greater value. Because of these issues, a grouping system commonly used with anionic diets involves a prefresh group fed anions that contains only cows within three weeks of parturition and a far-off dry group not fed anions for springing heifers and dry cows not within three weeks of calving. 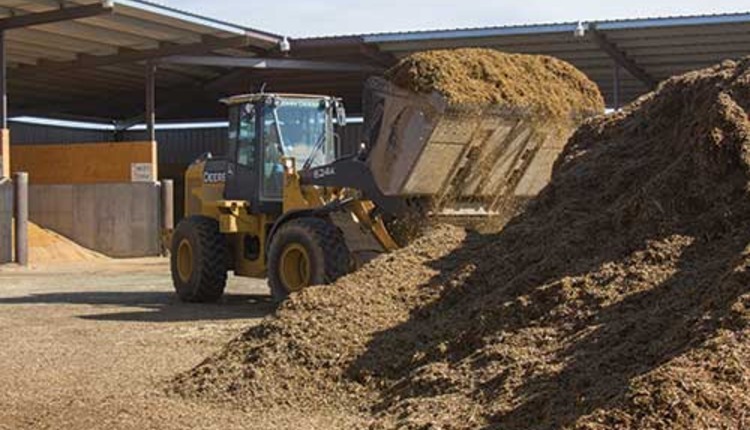 Additional costs are incurred with this system because labor is needed to make and deliver smaller batches of feed and to move cows between groups. To avoid some of these costs, a single dry cow group ration with anions fed from dry-off to calving has been investigated. No negative effects on cows have been observed when anions were fed during a seven-week dry period. However, it is not known whether heifers can be fed anionic diets for long periods of time. Feeding anions for 42 days rather than 21 will obviously double supplementation costs. Grouping by parity. Grouping cows by parity (first-lactation versus older cows) has a huge payoff. 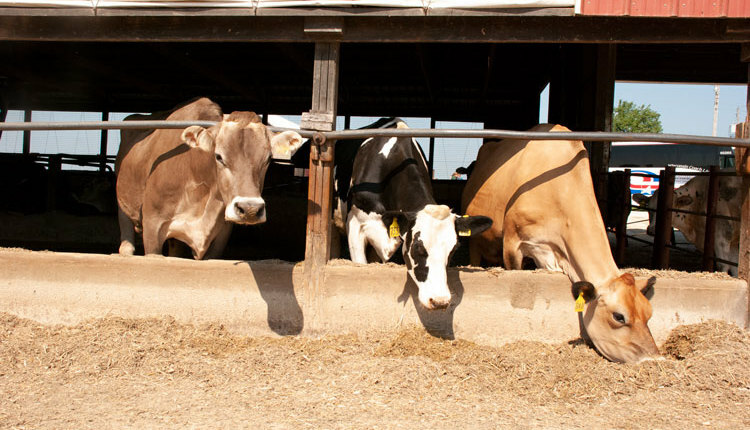 First-lactation cows housed separately from older cows lie down more, eat more, eat more meals per day, have fewer aggressive interactions with herdmates, and produce more milk than first-lactation cows housed with older cows. Quite frankly, grouping by parity should be a high priority even if rations are not different. Grouping by stage of lactation. Two reasons to group by stage of lactation are the very low DMI of fresh cows and overconditioned, late-lactation cows. If a farm has several overconditioned, late-lactation cows, a separate group for those cows may be warranted. 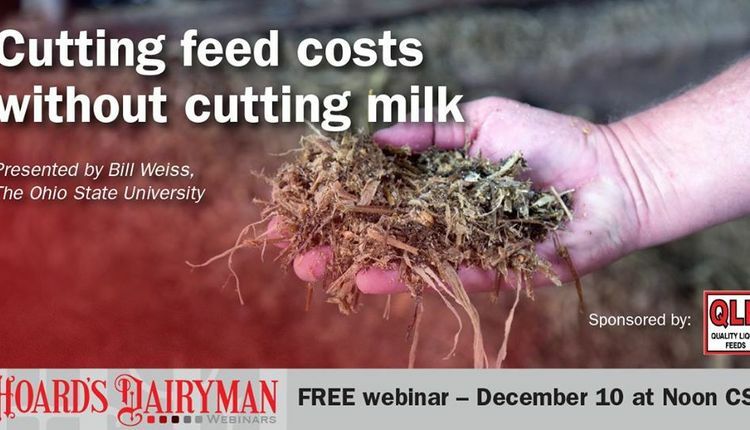 A separate group for fresh cows (less than three weeks in lactation) has several potential benefits. Even on large farms this will be a small group, which allows more intensive individual cow observations, and health monitoring protocols are easier to manage in a small group. In many instances, understocking may be easier to obtain with a small group. 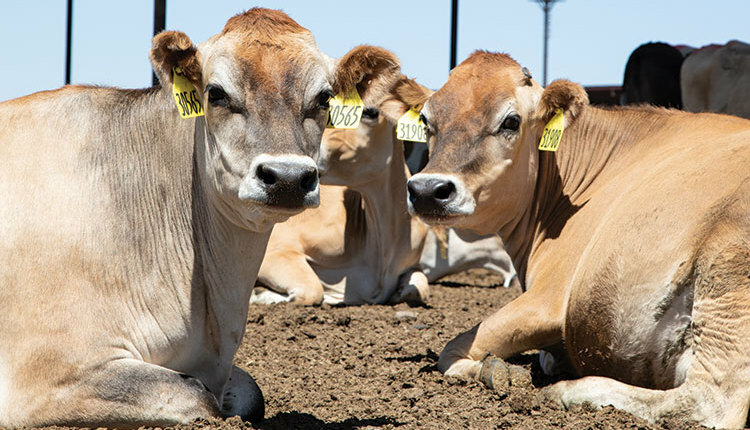 A separate fresh cow group will also allow implementation of a greater milking frequency protocol such as 4x a day milking that can boost milk yields in mature cows. Everything else being equal, the nutrient requirements of a fresh cow are not different from cows at any other stage of lactation. However, DMI may be 10 to 30 percent less, which makes meeting requirements very difficult. For example, feeding an extremely energy-dense ration is needed to meet energy requirements in early lactation. But that will require substantial fat supplementation or extremely high starch concentrations . . . both of which can reduce energy intake. Rather than attempting to meet all nutrient requirements, formulating a fresh diet for high DMI should be the goal. Cows in early lactation have limited ruminal capacity. That means that DMI is sensitive to dietary factors that have a high fill potential. 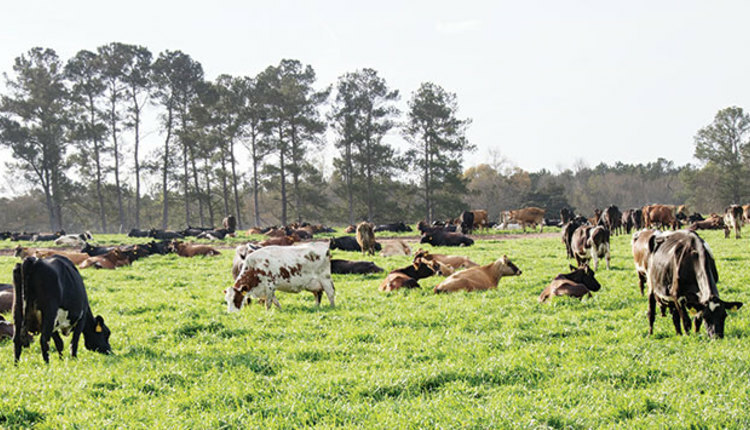 Base diets for fresh cows on very digestible forage, limited amounts of grass, and adequate but not excessive concentrations of forage NDF. Grouping by milk yield. Milk yield is the major factor affecting a diet’s nutrient specifications, which in turn has a major impact on feed costs. Computer simulations from the University of Wisconsin-Madison have determined that based on income over feed costs (IOFC), three different groups (upper third of milk yields, middle third, and bottom third) is optimal. 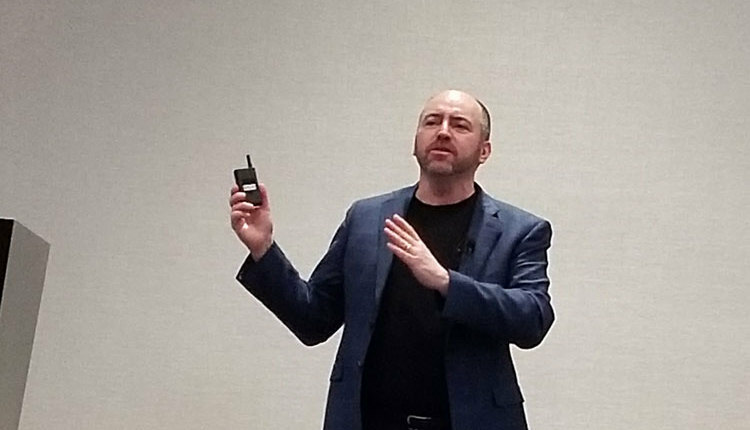 However, the difference in IOFC between a two- (above average and below average milk yields) and three-group system was small, and the greater costs of labor and management required to manage three groups would likely eliminate that benefit. To take full advantage of the effects of grouping, diets for the different groups must be formulated correctly. For maximum IOFC, diets must be overformulated to support more milk than the group average. How much overformulation is optimal? Again, based on simulation studies, the optimal overformulation for metabolizable protein is the mean milk yield plus one standard deviation (SD). A problem with this approach is that often the SD in milk yields within a pen is not known. But if the SD is known, then more profitable, less wasteful diets should result. The big benefit of grouping by production is that the SD within a pen is less, which means less overformulating is needed. If you group cows by production and do not reduce the degree of overfeeding for each pen, IOFC will not be greatly improved. To get the greatest bang for your buck, two grouping strategies come to the top of the list. 1. Grouping to reduce metabolic disorders. 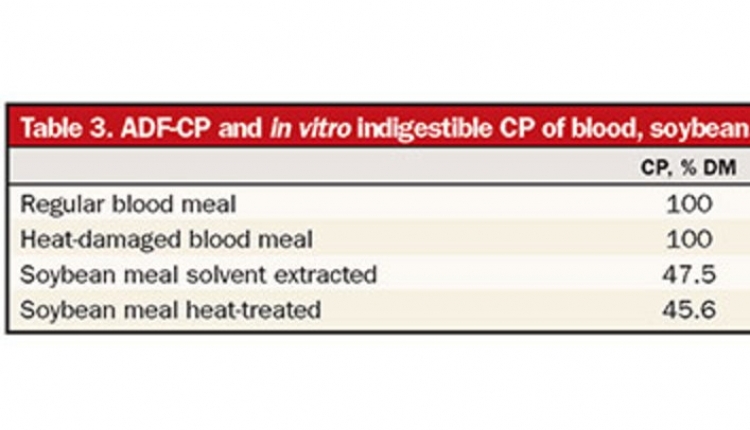 Prefresh group fed anionic diet when hypocalcemia is an issue. Fresh group (up to three weeks postpartum) allows intense monitoring of cows, may allow for more frequent milking and more space (both feedbunk and stalls). Diet modification may boost milk production. 2. Grouping to enhance production and income over feed costs. Separate first-lactation cows from older cows. This should be the highest grouping priority even when the same diet is fed to both groups. Separating first-lactation cows from older cows improves milk production, reduces stress, and may improve health. Group cows based on milk yield to boost income over feed costs. For many herds, two groups (above average and below average production) fed two different diets will probably be the economical optimum.